On May 17, 2016, the Equal Employment Opportunity Commission (EEOC) issued final regulations under the Americans with Disabilities Act (ADA) and the Genetic Information Nondiscrimination Act (GINA), allowing employers to offer employees up to a 30 percent incentive for disclosing ADA- and GINA-protected information, without the disclosure becoming involuntary as a result. The incentive can take the form of a reward or penalty. Under the ADA, employers cannot require that employees undergo medical examinations that could reveal the existence of a disability nor can they inquire about the existence or severity of an employee’s disability—unless the requirement or inquiry is job-related and “consistent with business necessity.” These exams and inquiries are allowed, however, if the employee voluntarily consents to them through his or her employer’s wellness program. Under GINA, employers cannot request, require or buy genetic information about employees or their family members. Like the ADA, the GINA provides an exception that allows employers to collect (genetic) information, so long as it’s voluntarily disclosed through the employer’s wellness program. Per the ADA final rule, employers can implement an incentive of up to 30 percent of the cost for self-only health coverage to encourage employees to disclose ADA-protected information, without rendering the information involuntary. Per the GINA final rule, employers can implement an incentive of up to 30 percent of the cost of self-only coverage for the disclosure of certain genetic information, without causing the disclosure to be involuntarily. These rules took effect on January 1, 2017. In October 2016, the Association of American Retired Persons (AARP) filed a lawsuit against the EEOC, arguing that the new rules were invalid. According to the AARP, the 30 percent incentive limits caused employees’ disclosure of ADA- and GINA-protected information to be involuntary—because employees who cannot afford a 30 percent premium increase would be forced to disclose the information. In August 2017, the court sided with the AARP, holding that the EEOC’s rules were arbitrary and lacked justification for the proposed incentive amounts. The court remanded the rules back to the EECO for further revisions, but it did not vacate them. In September 2017, the EEOC filed a status report, asserting that it would issue new final rules in October 2019—and those rules would be effective in 2021, at the earliest. Deeming the EEOC’s lengthy timeline as unacceptable, on December 20, 2017, the court vacated the agency’s 30 percent incentive limits, effective January 2019. The court also encouraged the EEOC to accelerate its deadline for issuing new rules on wellness program incentives. Employers may continue to comply with the final regulations throughout 2018. 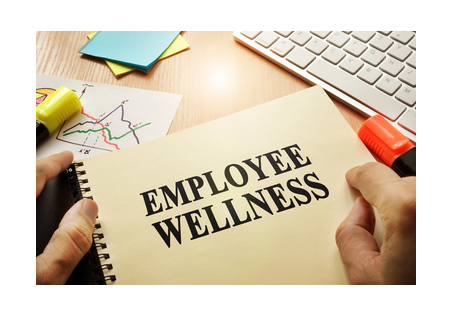 For 2019 and beyond, employers should keep an eye out for any new wellness program rules issued by the EEOC and confer with their employee benefits counsel for further guidance. To better understand whether your business is in compliance with these regulations, contact us today.